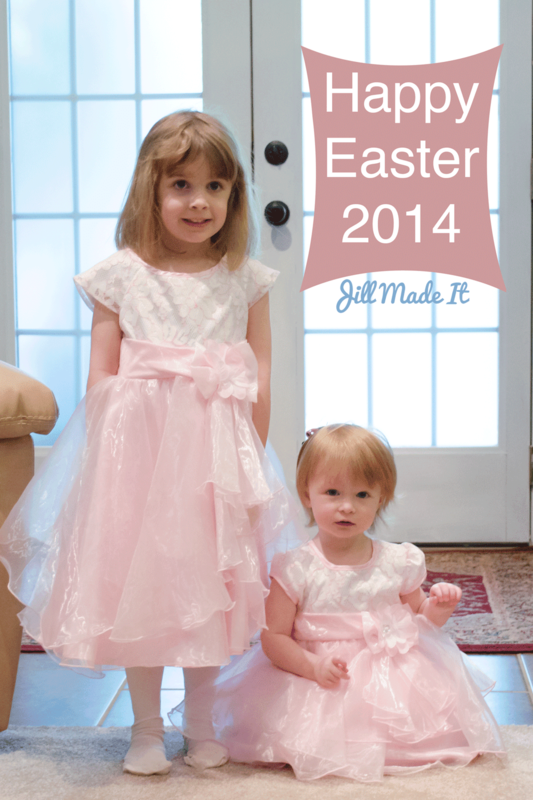 Jill Made It: Hope You Had a Happy Easter! Happy Easter! I hope you all had a wonderful Easter Sunday. We had so much fun with family! 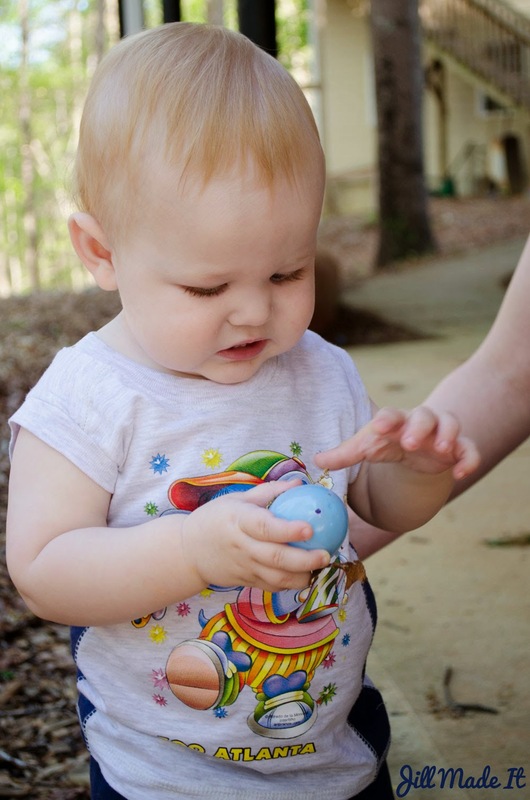 Daddy's Girl had a great time at her first Easter egg hunt. (She wasn't old enough to participate last year.) 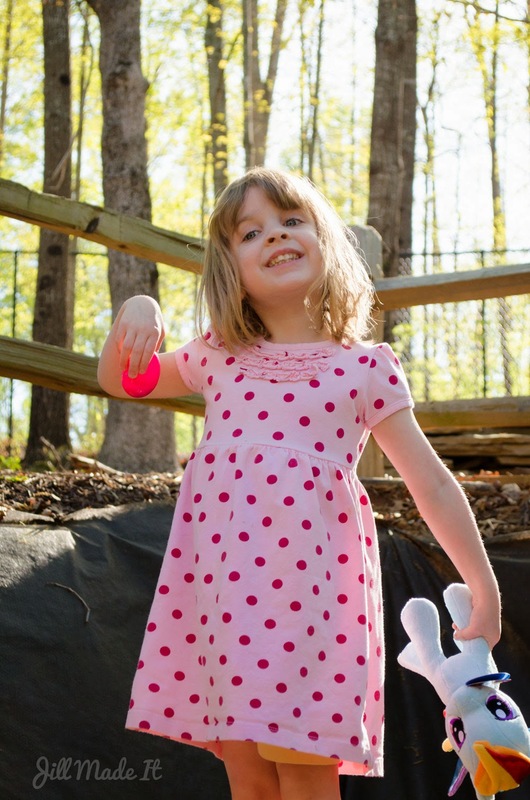 She found lots of eggs, too! My husband's cousin and her family came to visit, so Boo and Daddy's Girl got to meet their second-cousin for the first time. The girls really hit it off; when I told Boo they were cousins, she said, "She's my cousin and my friend." After having just met. Awww. All the relatives who live nearby came over, so our girls got to play with this sweet little cousin, too. 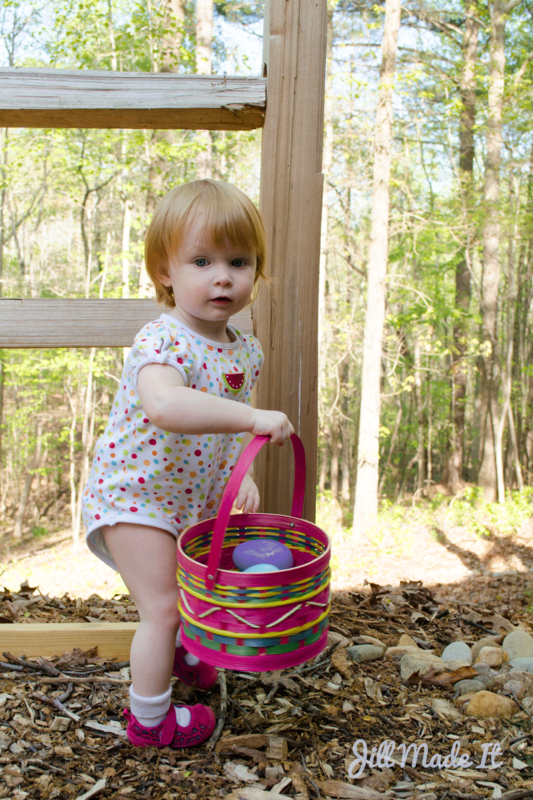 And he got to have his first Easter egg hunt. But he wasn't so much into finding eggs; he mostly just wanted to put the eggs in his mouth. 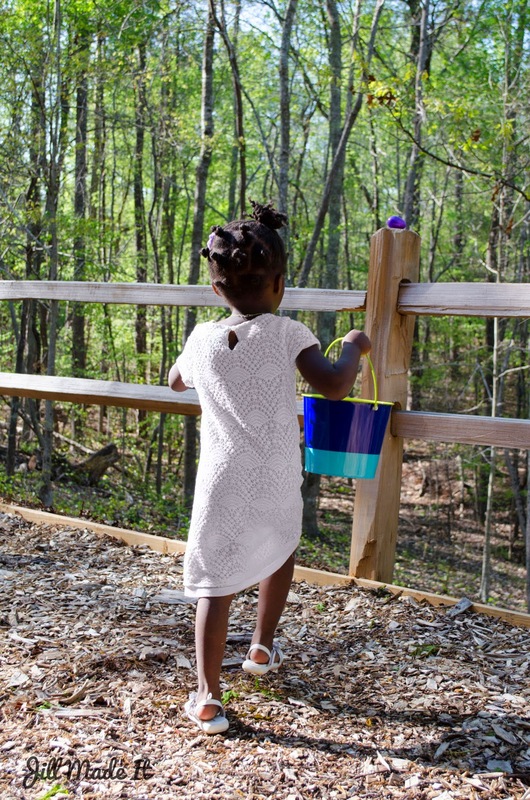 Boo got a Rainbow Dash doll in her Easter basket, and carried it around the whole time she searched for eggs. She had me hold her basket after a while, but she didn't put down that doll! I am so grateful for my sweet little family. And I am grateful for Christ's atonement and resurrection, which we celebrated yesterday. May we always remember Him who gives purpose to everything else. I am grateful that, because of Him, we, too, can live again.